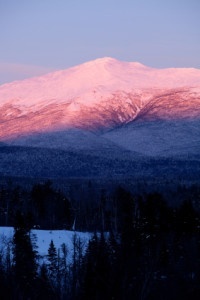 We enter the treatment room with an amazing view of the White Mountains, snow still atop Mount Washington. Clouds in the sky. Birds at the feeder: Chickadees, Cardinals, woodpeckers, nuthatch, finches, all varieties living together in harmony. This is what we all want, to be accepted, to live together harmoniously, to be connected with others, to be healthy and happy in our lives nourished. To be safe and free. I begin the session checking in with Johnny. We talk about important matters of the day. How is the body doing, how is the heart, mind, spirit, life? We use the stories of the day to help guide us… listening deeply to words, to body language, to the energy/vibration. Helping to go deeper and deeper to understand what is truly desired at this moment, what is truly needed at this moment, at this step of the journey. Where does one want to go from here? Creating a clear intention mobilizes the possibility of that occurring. What we all know to be true is that we all want to be Happy and Healthy in our lives and enjoying our days, our moments. Having a deeper understanding of how bodies and energy work lends itself to being mindful of what is needed in the moment. It supports our letting go. As we know that energy follows thought and structure follows energy; what our mind is engaged in is important in our overall Health and Happiness. The mind by its own nature has a tendency to chatter. Continuing to work with the mind, slowing the mind, allowing the mind to be an ally rather than the master in charge…will help the healing process. The amazing work of Zero Balancing is one form of directly engaging both energy and structure and their relationship as well as creating the space that allows the mind to quiet to get beneath the stories, beneath the emotions. To touch something essential. In this quietening, in this being able to be present with neutrality, opportunities arise. If you would like to experience this for yourself, please contact us for a Zero Balancing appointment.